KitchenAid Spiralizer Just $62.43! Down From $130! PLUS FREE Shipping! Check out this KitchenAid Spiralizer which is on sale at Amazon for just $62.43 down from $129.99 PLUS FREE shipping! Make fresh fruit and vegetable recipe options, from zucchini noodles to sweet and savory dishes. 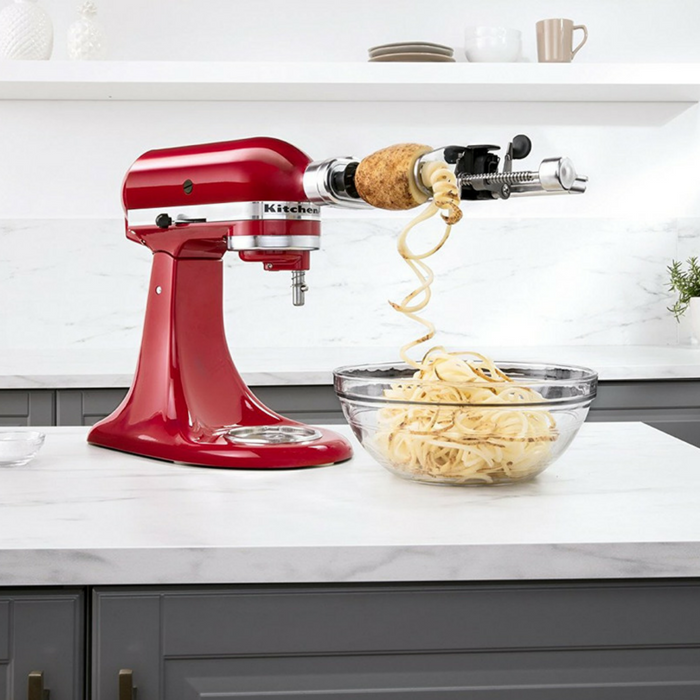 The KitchenAid Spiralizer uses 4 quick-change blades and an optional peeling blade to inspire healthy versions of classic recipes and unleash your culinary potential. Premium metal construction provides durable long lasting performance, and when attached to the stand mixer, provides stability and ease of use. KitchenAid Spiralizer Just $79.96! Down From $130! PLUS FREE Shipping! 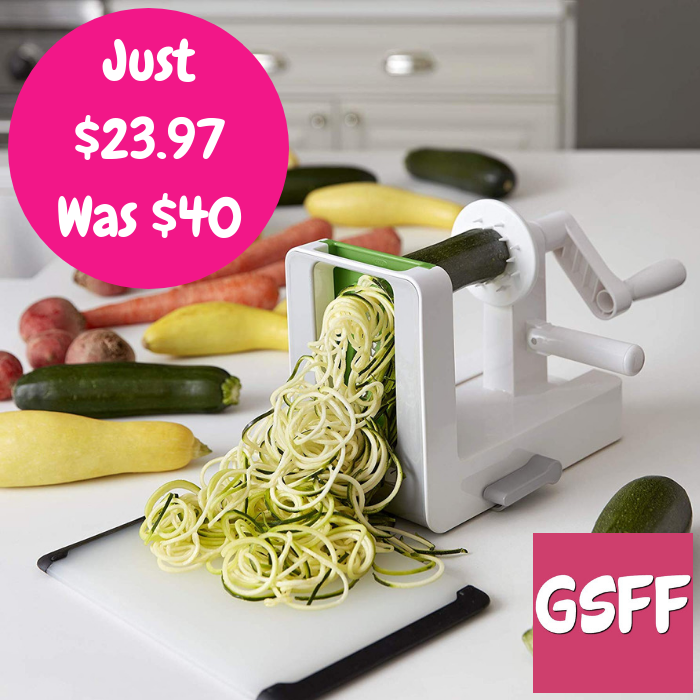 Check out this KitchenAid Spiralizer which is on sale at Amazon for just $79.96 down from $129.99 PLUS FREE shipping!